When you’re in a beauty rut, it’s a little like looking in your closet and seeing absolutely nothing to wear. Sure, you have the bones to create a killer look — a bold liner here, a bottle of texture spray there — but sometimes you just need a boost of inspiration. That’s why we created Short Cuts, a series of quick, easy-to-follow videos meant to educate, empower, and excite the beauty nerds in all of us. Whether you’re looking to learn something new or to refresh your current routine, there’s a Short Cut for you. Another day, another crazy makeup trend. But that’s the beauty of beauty, right? You can have a little fun, step out of your comfort zone, and maybe pretend to be someone else for a night. Here’s on idea you likely haven’t experimented with yet: A two-toned, checkerboard-esque lip. Check out the step-by-step breakdown of the look below and watch the tutorial above. Step 1. Paint a layer of pink lipstick (or a shade of your choice) on the right side of your upper lip. We suggest using a lip brush for more precise application. Step 2. Using the same pink lipstick, repeat Step 1 on the left side of your lower lip. Step 3. 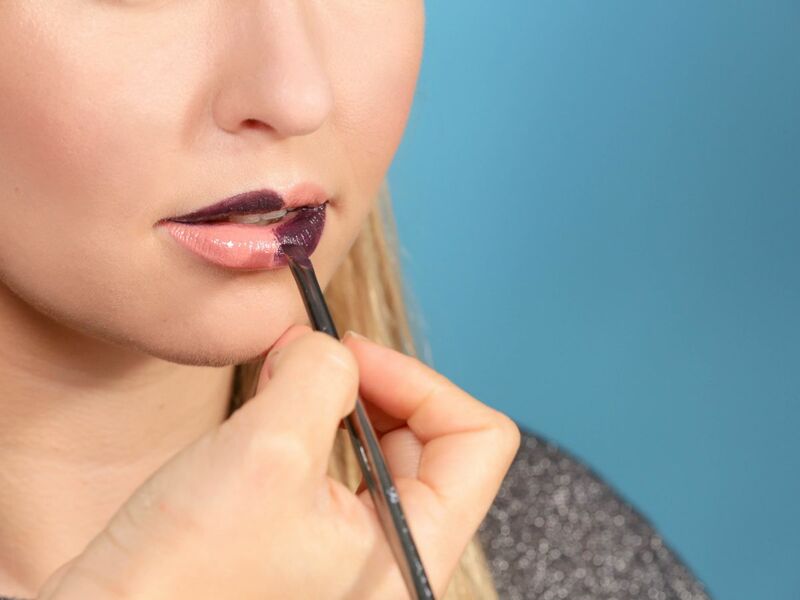 Grab a dark purple lipstick (again, or pick your own) and fill in the opposite halves of each lip, making sure to blend, blend, blend as you go to avoid harsh edges. Farrah Abraham: Dumber Than She Looks? Sean Williams talking Art, Art, and ART!